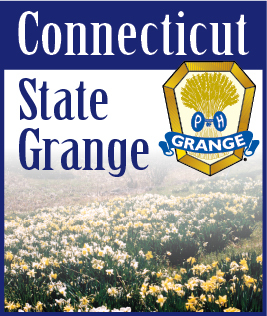 On August 5, 2010, The National Grange welcomed veteran government relations professional, Nicole Palya Wood as their new Legislative Affairs Director. Nicole brings to the organization over 13 years of government affairs experience in both the congressional and state arenas, and a self-proclaimed passion for the legislative process. “I am excited about the opportunity to use my skills and experiences in government relations and grassroots political management to further build the legislative program of the National Grange,” said Wood. A native of Virginia, Nicole graduated from James Madison University and caught the bug for legislative affairs while working as a legislative aide for Senator Frank Ruff in the Virginia State Legislature. She would later represent the National Rifle Association as a State Legislative Liaison in the mid-atlantic and southern region as well as serving as Manager of Government Affairs for TAP Pharmaceuticals. In D.C., Nicole previously served as the Director of Legislative Affairs for the Federal Home Loan Bank of Atlanta, lobbying the House Financial Services and Senate Banking Committees. She continued her work on rural housing and community banking issues as the Senior Lobbyist for America’s Community Bankers, a trade association of community banks, where she also served as a resource on farm credit issues. “Nicole Palya Wood brings a tremendous amount of experience and enthusiasm to our legislative programs,” said National Grange President Ed Luttrell. “I am confident that whether working on Capitol Hill to represent the National Grange, or meeting with our grassroots Grange activists from around the nation, Nicole will uphold the high standards of professional government relations work that has been the hallmark of our legislative program for 143 years,” Luttrell concluded. When not on the Hill, Nicole is working on her Certification as a Professional Dog Trainer and enjoys spending time with her New Zealand-born husband Campbell, their Anatolian Shepherd and Rhodesian Ridgeback. She also enjoys serving as a volunteer for The Campagna Center mentoring programs, where she has been appointed as a board member since 2007. Nicole and her husband live in Alexandria, Virginia just around the corner from George & Martha Washington’s Mount Vernon estate.